You can tour the interior of the 2018 Acura TLX at Rallye Acura near Manhasset right now, but first get a better look at what you can expect to find inside. Milano Leather Seats – Take your cabin experience to the next level with available Milano leather upholstery wrapped on all the seats in the cabin. Alcantara Leather Seats – Opt for the A-SPEC package and you’ll find pristine Alcantara trimmed leather upholstery with perforated leather and contrast stitching for superior comfort, style, and durability. Heated Seats and Steering Wheel – Enjoy a whole new level of comfort with standard heated front seats, as well as heated rear outboard seats and heated steering wheel with the Advanced Package. Ambient Lighting – Give your TLX a look of excitement and personality with LED ambient interior lighting (found on the A-SPEC package). Whether loading up golf bags for a long day at the links or packing up for a family vacation, the TLX has room. If you’re intrigued by the style, features, and convenience of the 2018 Acura TLX, then it’s time to take it for a test drive at Rallye Acura near Port Washington. Step into the cockpit at our dealership, and if you aren’t quite sure which Acura you want to drive home, you can compare this model to the Acura ILX. 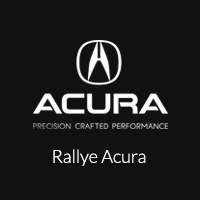 Rallye Acura is here to help you find the right amount of performance and luxury for your budget at 1750 Northern Blvd in Roslyn, NY. We’re open seven days a week, and you can contact us online or call us at 516-508-9147.